Bags under your eyes are never a good thing, but they are particularly awful if you have an important event on your agenda. For long-term results, try to get adequate sleep every night and eat a well-balanced diet rich in vitamins and nutrients. Since smoking constricts blood vessels, you should also avoid cigarettes. If you need more short-term results, here are some steps you can take to get rid of under-eye bags in a day. Drink lots of water. Dehydration can cause bags under the eyes, so up your water intake significantly. Wrap a few ice cubes in a soft cloth and apply to the under-eye bags. The ice will help to reduce swelling almost immediately. Apply the ice for 10 minutes. Remove it for 10 minutes and then re-apply. Place metal tablespoons in the freezer for 5 minutes. Remove them and place a tablespoon over each eye. This will work similarly to the ice, and will help to reduce puffiness. 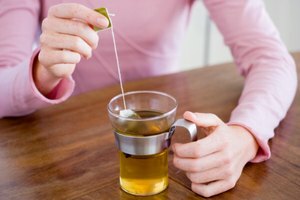 Soak teabags in water for a few minutes. 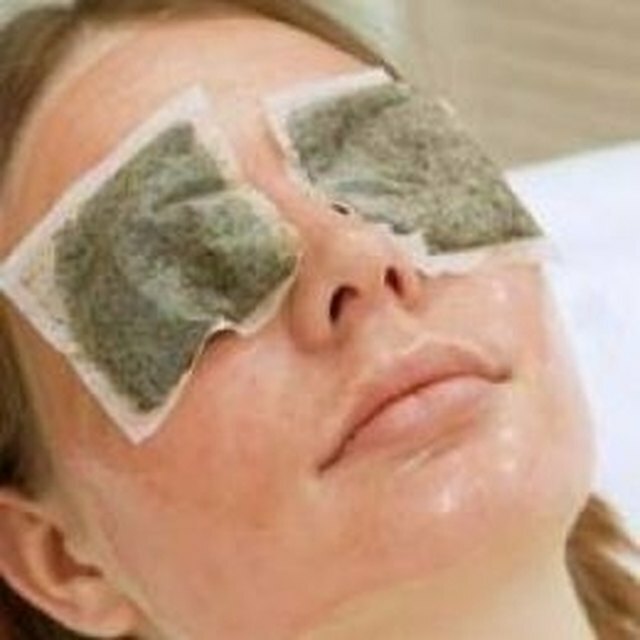 Drain excess water from the tea bags and then apply one to each eye for about 15 minutes. The tannins in the tea have been shown to help reduce the appearance of under-eye bags. Black and green teabags work best. Put a slice of fresh cucumber over each eye. Cucumber has been shown to have a calming effect on the sensitive eye area. 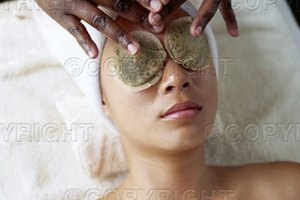 Leave the cucumber slices on your eyes for 10 to 15 minutes. Freeze a wet cotton swab for about 5 minutes. 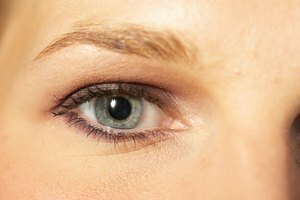 Swipe the cotton swab over your under-eye bags. This will help to reduce puffiness as well as release tension from the area. Cut off two slices of raw potato and place one slice over each eye for approximately 10 minutes. Raw potato has been shown to temporarily tighten skin, resulting in smaller bags under the eyes. Lie flat on your back while applying any home remedy to your eye area. Keep your eyes closed during the application. 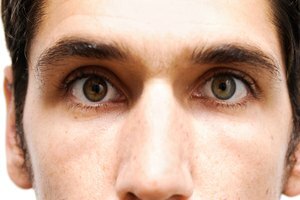 See a doctor if you have persistent bags under your eyes. You may have severe allergies or a genetic predisposition to the issue.